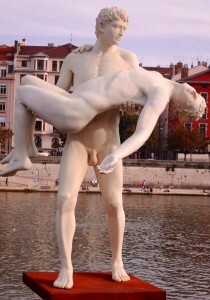 The Weight Of Ones Self is a stunning statue on the banks of the Saône. 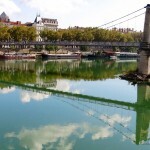 Take the Rhone Express from the airport to the centre of Lyon which costs 14€ p/p and takes about 30 minutes. A taxi costs about 60€ for the same journey. There are bikes for hire all around the city. The first half hour is free. 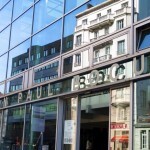 A Bouchon is a type of restaurant found in Lyon that serves traditional Lyonnaise cuisine, such as homemade sausage, duck pâté, pork, sting ray and very often serves food made from cheaper cuts of meat or offal. Try them. You may be surprised at how delicious the food can be, even if it sounds a little out of your comfort zone. 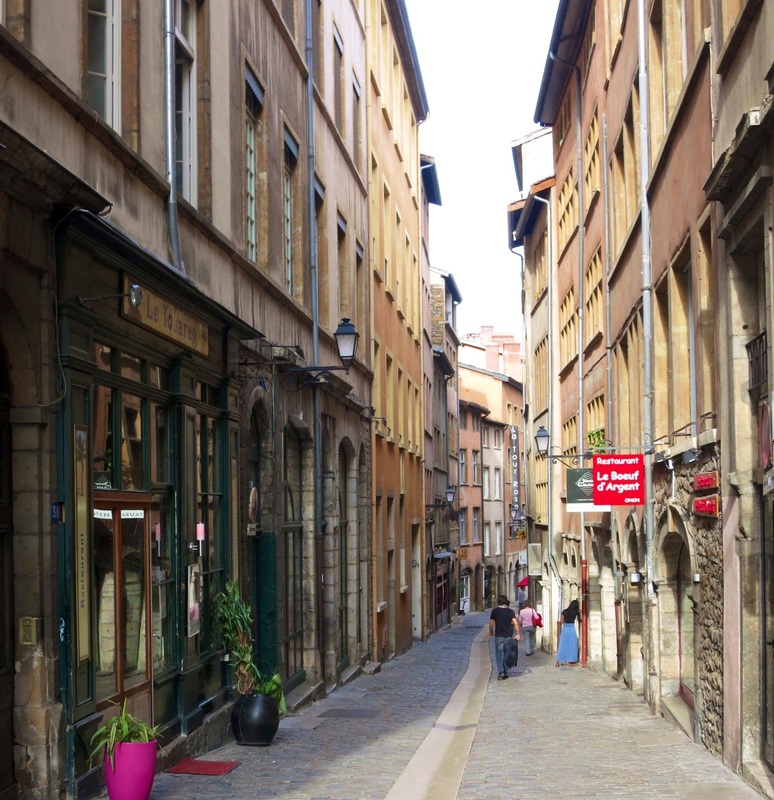 See our full article entitled Les Bouchons Lyonnais. Water is perfectly safe to drink but may taste different to what you are used to. The metro is easy to use and it’s best to buy 10 tickets. Each ticket lasts for one hour after you have used it to enter the station. We caught Le Grand Tour bus for a 90 minute tour of the city. It gives you a good overview of where things are located. You can then decide where you want to spend more time later. 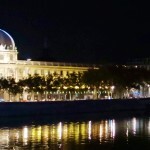 Lyon is France‘s first gay friendly city outside Paris. The scene in Lyon is fairly small with one of the best bars being La Ruche (The Hive) at 22 Rue Gentil. This is the oldest gay bar in the city and an institution. The scene here is very friendly, a mixed gay male crowd and Christophe the owner, makes you feel very welcome. 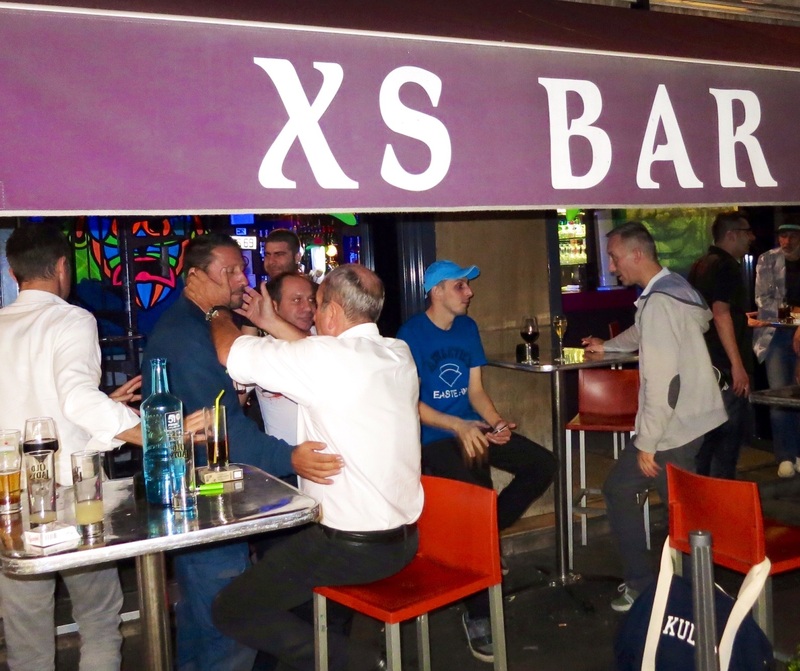 Another great little bar is XS Bar which is just up the street from La Ruche. This bar is tiny but what it lacks in size it makes up for in fun and friendliness. Both bars are packed on the weekends and you are assured of a good time at both. Although we did not go to it, Cafe Unite seems very popular with locals. 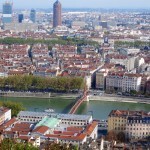 Lyon also has its fair share of cruise clubs and Le Men Club, Premier Sous-Sol and BoxBoy are where most guys go. 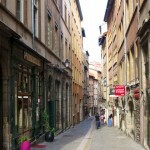 When we were in Lyon we stayed at La Résidence (three stars – Rue Victor Hugo). It is a reasonably priced hotel, very central and quiet. We enjoyed our stay in this friendly hotel and can highly recommend it. 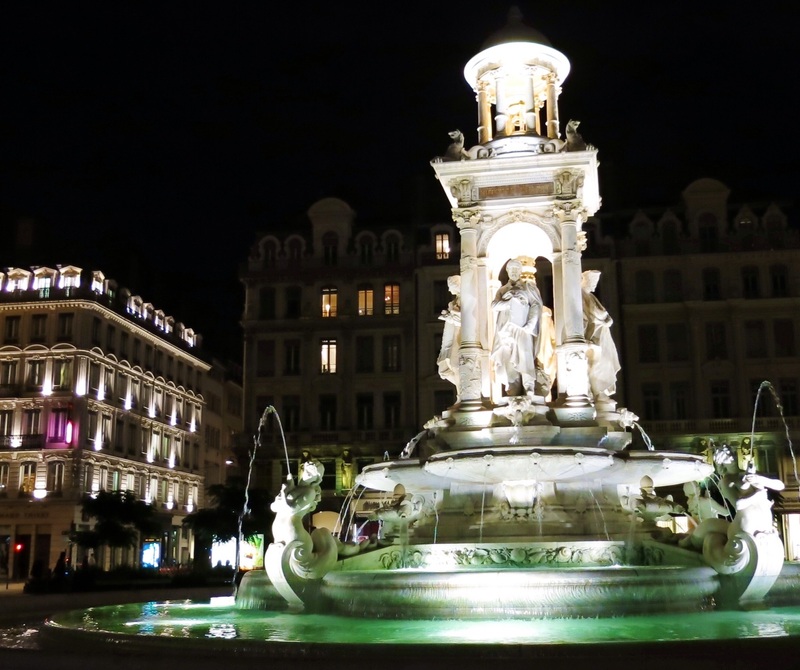 It is a short walk (2 minutes) to Bellecour which is the centre of Lyon. Take the funicular (free of charge if you have a metro ticket) up to Basilica Norte Dame de Fourvière and see both the church and the crypt. The views from the back of the Basilica over Lyon are spectacular. After seeing the Basilica walk down to the old town through the gardens via lots of staircases. When in the old town explore the tiny narrow streets. Here you will find historical buildings from 15th century and many good eating places (Bouchons) and tiny art spaces, theatres and bars. If you have a free afternoon, take a walk along the river. It is a wonderful way to relax and spend a few hours. Another great way to enjoy the river and its views is to take a dinner cruise. 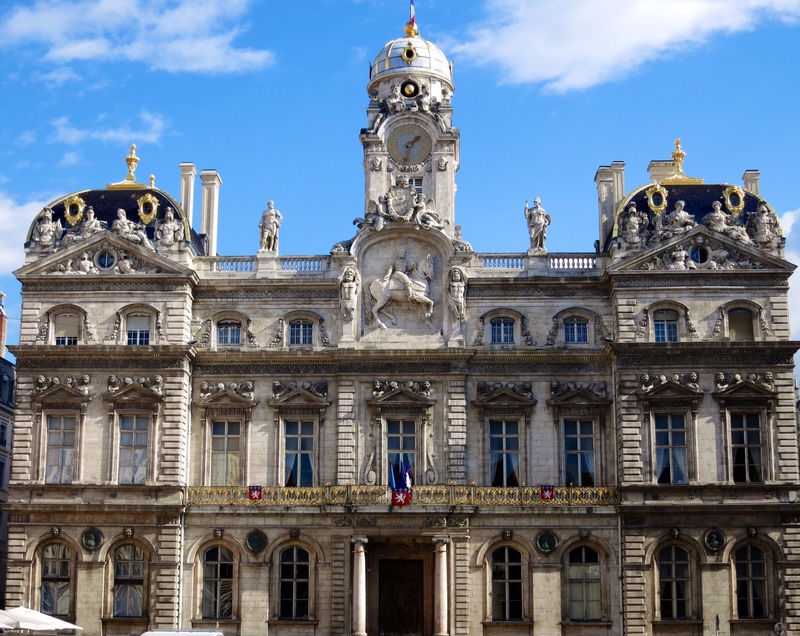 Lyon has extraordinary streets, buildings and monuments and Lyon’s stunning city hall (Hotel de Ville) is one of the city’s most famous landmarks. 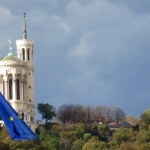 Also, don’t miss Basilica of Notre Dame de Fourvière, Hotel Dieu the historic hospital located on Presq’île, the Opera House, Rue de la République, the main shopping street in Lyon. Actually, like Paris, around every corner there is a stunning building or monument. 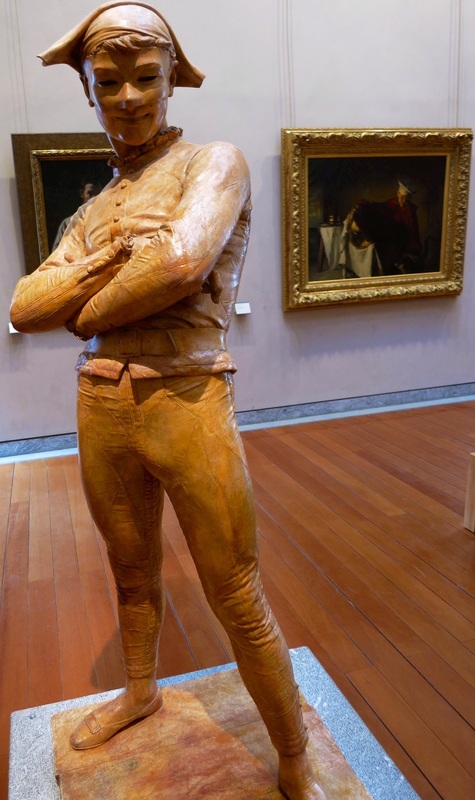 The Museum of Fine Arts of Lyon (Musée des Beaux Arts) gets five stars from us. It is housed in a former Benedictine convent of the 17th and 18th centuries and was restored between 1988 and 1998. 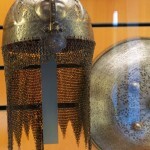 We were amazed at its collection which ranged from ancient Egyptian antiquities to the modern art period. 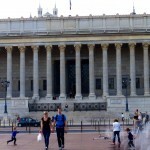 We thought it was one of the best museums we have seen in Europe. The 6€ entry fee is a bargain. Give yourself at least two hours and there is a lovely coffee shop waiting for you at the exit of the museum. 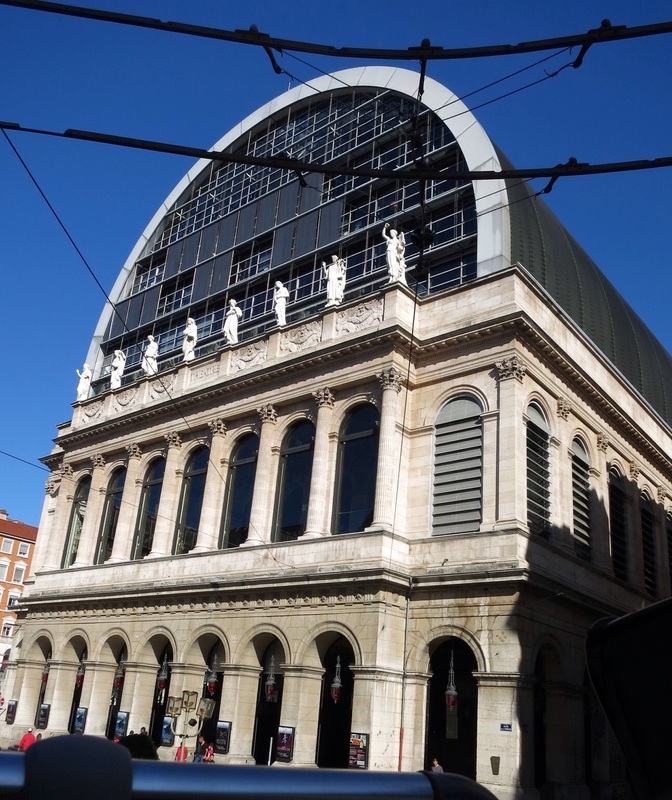 Les Halles, the Paul Bocuse food market in Lyon is world famous. Disappointingly, when we visited, half the outlets were closed at lunch time. The stalls which were open looked fantastic. 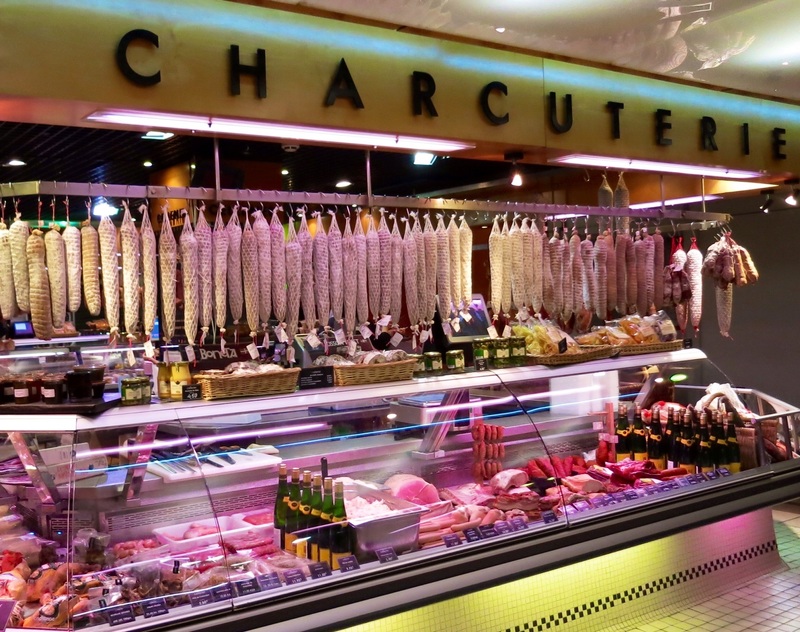 You can find all kinds of merchants selling products for cooking; bakers, caterers, butchers or fishmongers, all selling high-quality fresh products. What we saw was an impressive local showcase which brings together the best products of the local area. 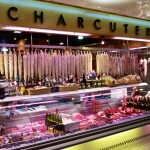 People come here to find top-quality seafood, meat, poultry or cheese but beware, most things are quite pricey. 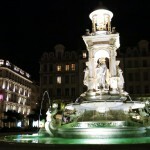 The beautiful statue of Louis XIV is in the centre of Place Bellecour. 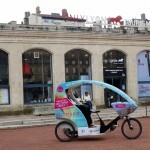 On arrival in Lyon, be sure to visit the Tourist Office in Place Bellecour. 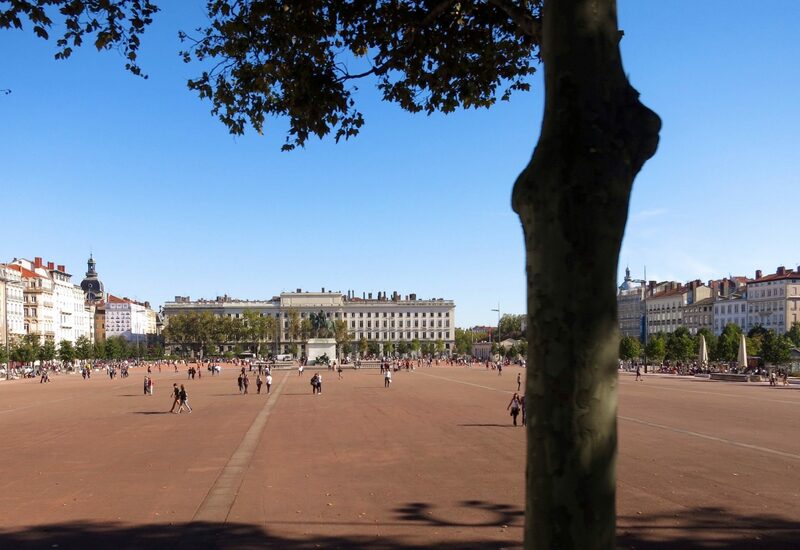 Use Place Bellecour as a central meeting point or reference point for finding other places. 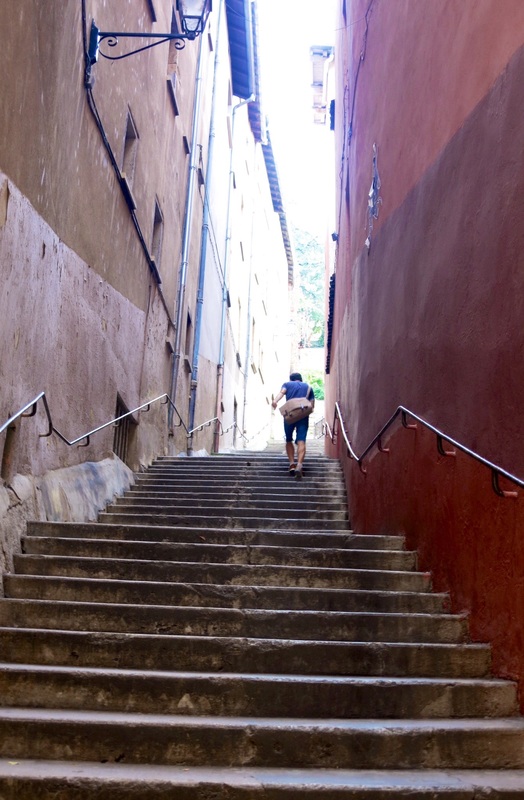 Explore the narrow winding alleyways of the old town. Formidable! 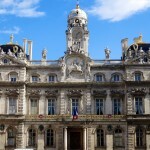 The Hôtel de Ville is one of the iconic buildings in the centre of Lyon. 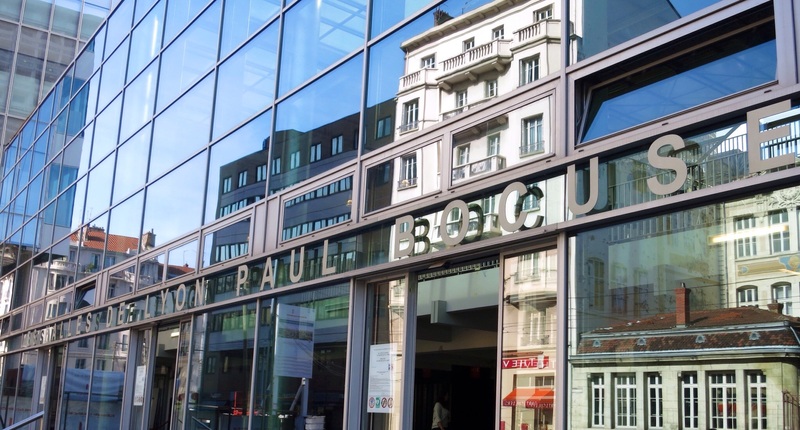 You really need to set aside a good amount of time to visit the Musée des Beaux Arts. 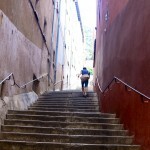 Take the walk back to the old town from the Basilica via the staircases. 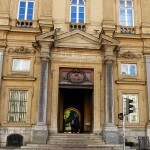 The fine art collection is extensive in this museum. 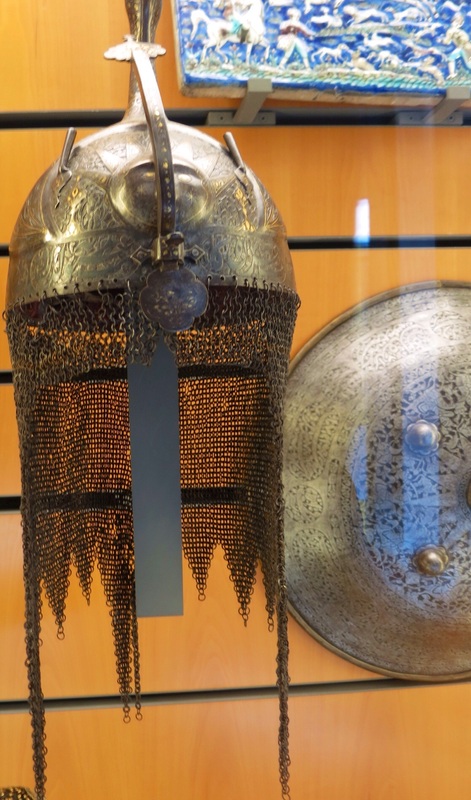 The collection ranges from ancient Egypt to the present day. 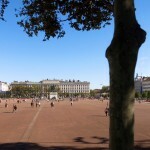 Place Bellecour in the 2nd arrondissement is the huge main square in Lyon that is often a central meeting spot for locals and tourists alike. The square is the largest pedestrian square in Europe. One half of it looks quite barren with reddish soil and the other side is concrete. Recently, trees have been planted around the perimeter of the square. Until 13th century it was known as Bella Curia, an old vineyard. For a long time after that it was a marsh area and belonged to rich families of Lyon. 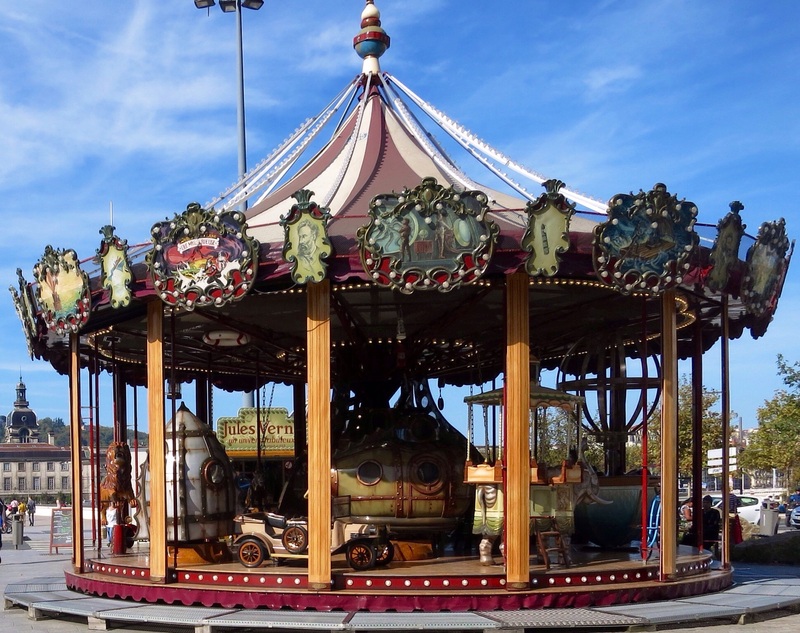 Only in 17th century did it become a public square when it was redeveloped by King Louis XIV. There is now a huge statue of Louis on a horse in the centre of the square. 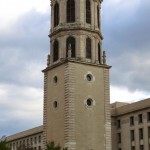 During the French Revolution the guillotine was installed here in 1792. The royal statue was destroyed in 1793, and the square was then named Place de l’Égalité. 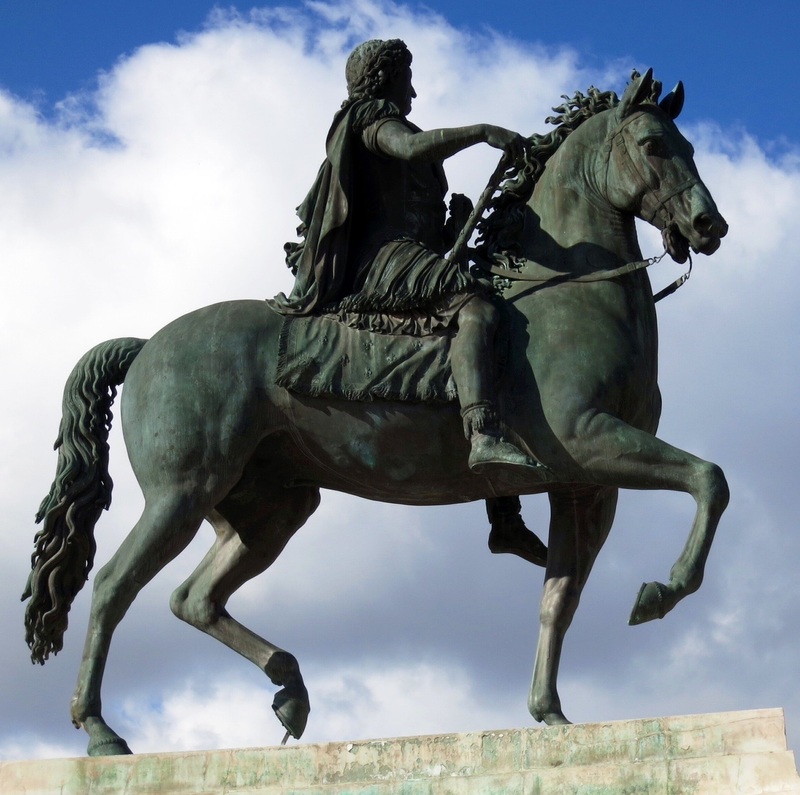 In 1825 a new statue of Louis XIV was erected and this is the one that stands here today. 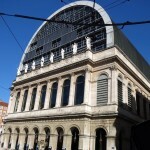 There are two pavilions in the square, one where you will find the Lyon Tourist Office and the other a small art gallery. At the north end of the square you will find the clock tower. From the centre of the square in the evening you can get fantastic views of the Basilica. 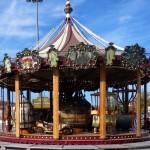 During the year, a number of events take place on Place Bellecour. In winter, an ice rink is installed. There are sometimes concerts and events, including a major book fair. On the weekend of Pentecost, there is a pétanque competition. One Friday night we saw the start of the roller ride. This is where about two hundred people gather each Friday evening to begin their weekly roller blade circuit through the city. In winter, a 60-meter ferris wheel is installed. Enjoy this beautiful square during your visit, even if it is to just to have coffee or lunch at one of the outdoor cafés. On a sunny day it is fantastic. While walking from the old town in Lyon and just about to cross the Saône River, our attention was taken by a very intriguing sculpture of a naked man holding another naked man. The work is by Michael Elmgreen and Ingar Dragset who create sculptures, structures and performances which provoke a spirit of criticism and subversive humour around subjects such as social policies, the weight of institutions or the working of the world in general. The sculpture on the bank of the Saône River is entitled ‘The Weight Of Ones Self.’ It depicts a man standing upright carrying another lifeless man in his arms. Has he just saved a man from drowning? 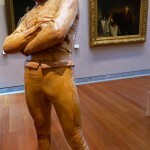 The details, when you study this sculpture, are unsettling. The faces of the two men turn out to be identical. The man is carrying himself, and in so doing, becoming his own saviour but also his own millstone. 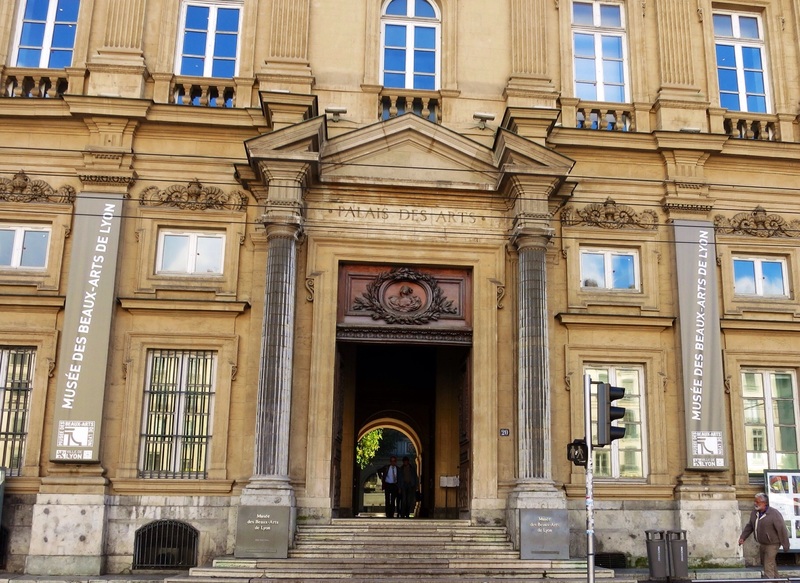 These philosophical concerns echo the questions of civil and individual responsibilities which are debated every day in the Palais de Justice which is the magnificent building across the road from the sculpture. Being larger than life-size, this 2.7m tall sculpture is also a landmark of the landscape. “The work is very typical of our contemporary culture. It’s not celebrating a hero, nor anyone pursuing a goal, or trying to achieve something. It’s to be the story of someone trying to save himself“, say Michael and Ingar. 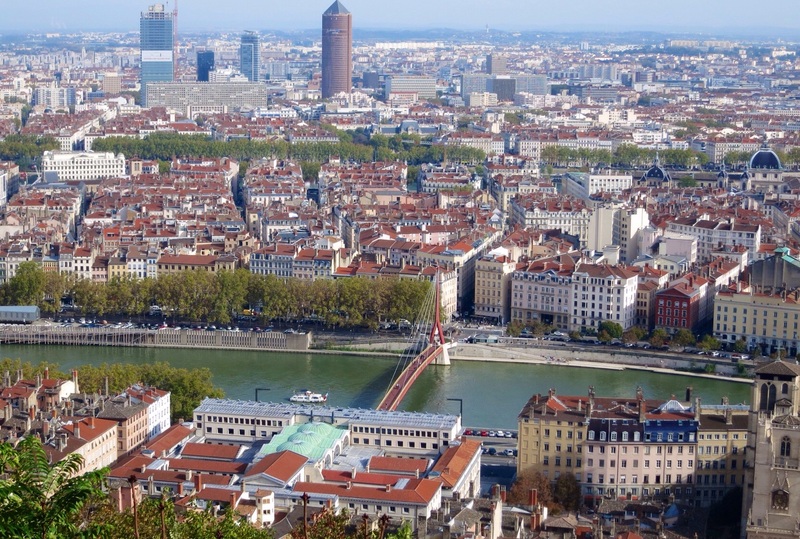 The statue can be found just in the front of the bridge of the Palais de Justice in Lyon. 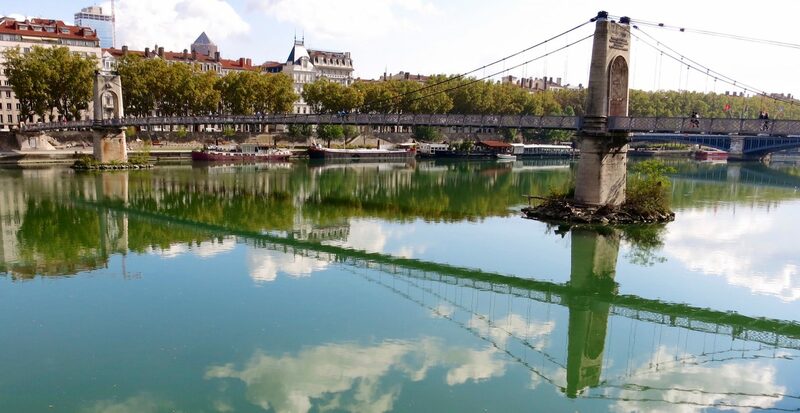 We spent only five days in Lyon. We had a wonderful time, sightseeing during the day and eating, drinking and socialising at night. Although we did a lot in our time here, we left feeling there was so much more to see and do. You will be very happy you included a long stay in this wonderful city as part of your European itinerary.